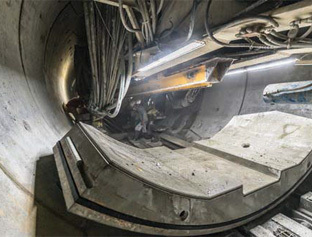 Paola De Pascali spoke with Florent Detraux, tunnel construction manager at Vinci Construction Grand Projets, about the conversion of an NFM TBM to use Herrenknecht Variable Density technology on the third metro line Phase 4A in Cairo. Paola De Pascali talked with Salminen Jukka principal designer of rock engineering at Pöyry’s to understand how the Western Metro is being extended from Matinkylä to Kivenlahti. Alex Conacher travelled to the Bheri Babai Diversion Multipurpose Project in Nepal, where, in a world first, tunnellers are driving a TBM through the Himalayan Siwalik geology. Once complete the project will unlock irrigation and hydropower potential in the region. 18 April, 2019	Germany/Austria – MC Bauchemie and Porr have developed a new TBM backfill grout based on a geopolymer that is suitable for use in swelling rock formations. The companies stated that the cement-free filler is sulphate resistant and adequately prevents swelling pressures while providing the usual bedding for securing the tunnel ring. Paola De Pascali interviews Spanish infrastructure companies and the Spanish Association of Tunnels and Underground Works to understand how the financial crisis affected the tunnelling industry and how the companies became active abroad, getting a strong presence on the international tunnelling market. The Bank Station upgrade project made use of a combined lining system, comprising primary and secondary fibre-reinforced sprayed concrete linings. This paper highlights the design considerations for different components of the combined lining. 10 April, 2019	If you are one of the 1,000 or so delegates at the World Tunnel Congress; benvenuto a Napoli. This year it is Europe’s turn to host WTC, with Naples being selected at the 2016 congress in San Francisco as the industry’s chosen gathering point. There is some late-breaking news as Tunnels and Tunnelling International goes to press. 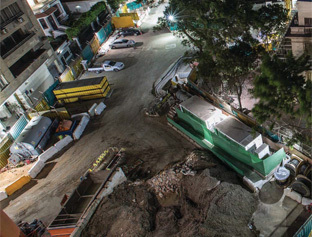 On 19 February the Forrestfield-Airport Link’s client announced that its two stopped TBMs should resume tunnelling in mid- and late-March respectively, good news for a project that was previously held up by a sinkhole last September. For Washington, D.C., 2018 was the wettest year on record. National Airport reported 66.28 inches of rain, which outpaced the prior record of 61.33 inches (1,558mm) from 1889 and was more than 26 inches above the normal rainfall amount in a year (39.74 inches). In addition, five months of the year (May, July, September, November and December) ranked among the top 10 wettest months on record. 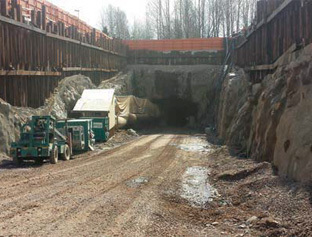 In this issue of Tunnels and Tunnelling International we have devoted the majority of the magazine to a paper by Dr Barry New of the Geotechnical Consulting Group (GCG). In it, New explores tunnelling impact assessments with a view to protecting existing underground assets. The work has been guided by investigations into failures and studies of the geoenvironment of cities and examines present approaches to the issue, while also making suggestions of how the industry might progress in future. I recently hosted a breakout session at a conference on ‘disruptive technologies’. These technologies were: the Internet of Things, Robotic Process Automation, Blockchain and Artificial Intelligence. It was interesting, and will be covered in a subsequent issue. But for tunnelling I can think of one historical change that was far more significant, which has recently been recognised with an award.